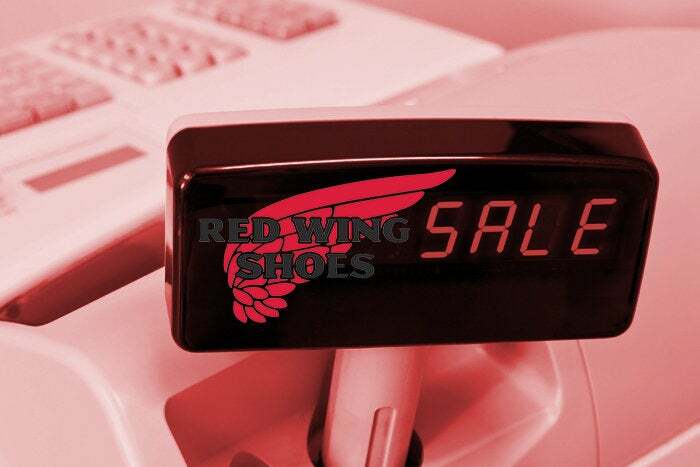 Red Wing Shoes overcame several legacy technology and business process hurdles to modernize its antiquated point-of-sale software. Point-of-sale (POS) system upgrades tend to rank right behind ERP overhauls in terms of complexity. Absent proper project management and data governance, the result is a serious IT headache. That's exactly the situation Marc Kermisch jumped into when he joined Red Wing Shoes as CIO in 2014.At the time, the maker of work boots and shoes was struggling to upgrade its 15-year-old sales system. Marc Kermisch, CIO of Red Wing Shoes. Modernizing POS systems is table stakes for retailers eager to embrace omnichannel, essentially the capability to get products to consumers from both physical and digital channels with as little friction as possible. Thanks to Amazon.com, consumers now expect to be able to get what they want whether they are ordering merchandise from a brand's website, through its mobile app, or from its physical location. Running a POS system in which stores don’t know what products their peer locations have in stock presents a major roadblock. When Kermisch arrived, the migration to the new POS software, Oracle Retail Xstore Point of Service, which the vendor acquired from its 2014 acquisition of Micros, was in dire straits. IT was hamstrung by the 111-year-old company's legacy business processes and the project lacked proper oversight and data governance. It also suffered from minimal vendor management. "We didn't have rigorous testing and requirements that were critical to the organization hadn't been met," Kermisch says. Recognizing the project would result in disaster -- it was slated to go live in April 2014 -- Kermisch slammed on the brakes to institute proper project management and governance. Proper planning is critical for the success of such an implementation, according to Gartner analyst Joanne Joliet. “This includes developing a high-level strategy at the customer journey level and translating that into specific technical and functional requirements,” Joliet says. Kermisch began planning a pilot project, slated to roll out in April 2015. But Red Wing's struggles continued as its began to weave Xstore into the company's legacy systems. Kermisch’s team had to reconcile data on customers' order history between the Xstore POS and its Infor ERP, as well as the order and inventory management systems. “Replenishment orders weren't flowing correctly and tax tables weren't updating correctly. We did not have a path for data governance, data quality or data convergence,” Kermisch says. “Every single store had a different set of data and a different level of quality that we had to muscle through. So item information, pricing information and account information were three big challenges for us." Red Wing sought support for Oracle Retail Xstore Point of Service. But Kermisch soon learned that Micros, which had at the time was working through a number of new customer acquisitions, would not assign its Ohio-based software engineers to travel to Minneapolis to work with Red Wing engineers. They also wouldn’t work weekends, Kermisch says. After considerable due diligence, Kermisch selected BTM Global, which specializes in implementing Oracle retail software, for professional support. BTM Global embraced agile development methods, quickly capturing requirements and conducting four-week sprints before passing the software on to Red Wing for testing and verification. It was exactly what Kermisch needed to complete the project. Red Wing extended its pilot project through the fall of 2015, cleaning up defects and adding enhancements before launching into production January 2016. "It went well but it was bumpy," Kermisch says. Integrating customized features available in the legacy POS and other core business applications into Xstore posed another challenge. Red Wing features an industrial sales model in which it contracts with manufacturing customers, which require employees to wear shoes that meet certain quality and safety standards. Employers often subsidize the cost of the shoes -- typically 50 percent -- via paper vouchers employees redeem in Red Wing stores. Red Wing then processes the voucher and sends the industrial client an invoice for the remaining amount. This "split tender" model created accounting challenges, Kermisch says, adding that he plans to automate this process by issuing corporate employees digital coupons this year. Moreover, out of Red Wing's 500 retail outlets, roughly 330 are independent dealers, some of whom have chosen to integrate time and attendance, accounts payable and receivable and invoice processing in their POS system, a departure from the usual practice of bolting on apps to provide the functionality. "They had to do quite a lot of modification of the core data structure and core code to address those additional requirements," Kermisch says. Red Wing completed the project in November 2016. "Without BTM Global, I'm not sure we would have gotten through our implementation," Kermisch says.